Duncan and his colleagues deserve a lot of credit for their hard work reaching out into the industry of end users and vendors to get the real, unvarnished view of this world and educating the masses on who is really influencing and performing. I also wanted to praise the hard work of the HfS analyst team for working so hard to get our voice and brand above the deluge of noise in today's industry and making such long term commitments with us to get us where we are today. You can read Duncan's full post on the awards here. This is great recognition Phil and team - shows you have arrived in the big time! Congratulations HFS - you must all be very proud! You've become the trend setter and thought leaders for the outsourcing industry and you have achieved this status so quickly. Bravo! 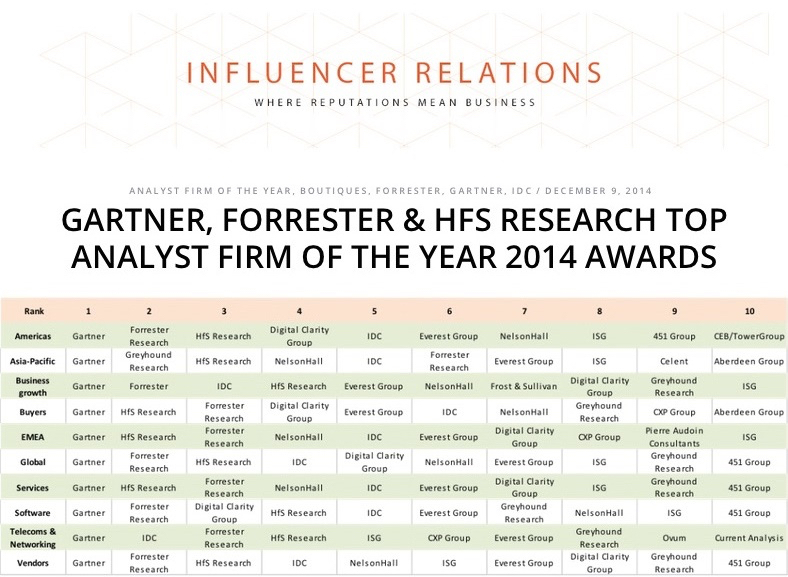 What resonates with this award is the fact that HfS has now broken into the "big three". In terms of credibility and influence, you're now well ahead of the likes of IDC, Ovum etc. 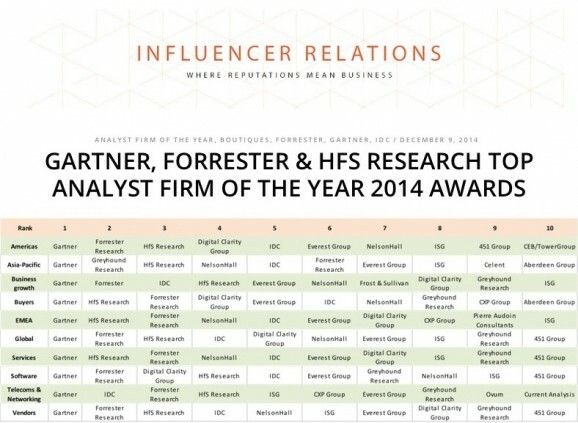 Congratulations Phil and the HfS team for the recognition from Influencer Relations. This is validation not only of your increasing reach, but of your model. Your ability to harness the wisdom of a private(ish) crowd of industry insiders on the buy / sell / and advisor sides has consistently produced insights unavailable elsewhere. All with a special dose of wit - well done! Love this - shows you have broken the hold of the old guard. Now the real fun begins! Just Gartner left to leap frog and you're number one.